Mulumba is a Lawyer with special interest in International Human Rights, Global Health and Sexual Reproductive Health and Rights. He has a Bachelor’s of Laws (LLB), Post Graduate Bar qualification, Master of Laws and Master of Philosophy in health sciences. Mulumba has widely researched, published and taught in the various areas of global health and international human rights. He has been an African Advisor to the HIV and the Law Commission and a former board member to the Uganda National Drug Authority (NDA). Mr. Mulumba has successfully been a principle and co-investigator on a number of research projects funded among others IDRC, SIDA, Rockefeller Foundation, the Ford Foundation, European Union, the Canadian Institute for Health Research (CIHR) and the European Space Agency. His recent projects include serving as a legal researcher on a scoping assessment of the global financing facility (GFF) implementation in Uganda and study on developing the regulatory aspects for Satellite-Enhanced Telemedicine and eHealth for sub-Saharan Africa (eHSA). Kabanda David is a human rights advocate in Social Economic rights particularly the right to health. He practices this through research, public interest litigation, legal advisory, training, dialogue, litigation and invoking equity. He studied at Makerere University where he completed a Bachelors of Laws. He did a Post Graduate Bar Course Diploma at the Law Development Centre, Kampala Uganda and his Masters of Law in Makerere University. He is a PhD Candidate in the University of Western Cape. His career is devoted to social inclusion and accountability using Human Rights Approaches. He has had tremendous contribution in social justice in health particularly women access to justice, advocacy and policy development in social rights. He has been legal researcher in women rights and their violations. He has been lead advocate in many constitutional courts cases including opposing violation of women rights, maternal health, sexual violence, and gender based violence. He has led several human rights campaigns including the right to a clean and a healthy environment using a public interest paradigm. He has also led as counsel in several constitutional and High court cases as public interest cases on women rights and equality in Uganda and particularly maternal health. He has worked in private practice prior to moving voluntarily into Legal Education. 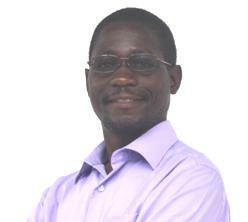 Kabanda is a law lecturer with experience in high quality teaching and Legal Research Skills. Nakanwagi Gertrude is the Operations Manager with CEHURD. She is responsible for providing administrative support for day-to-day running of the organisation, as well as ensuring smooth operation of various processes within CEHURD. Ms Nakanwagi has been expansively trained in project management, logistics management, and operational strategizing. She holds a Bachelors’ Degree in Business Administration, a Master’s in Development Studies, and a Post Graduate Diploma in Project Planning and Management. Nakibuuka Noor Musisi is the Programme Manager, Knowledge Management Programme. She holds a Masters of Law and a Bachelor's degree in Law from Makerere University. Her special interests are in advocating for the right to health, specifically women's rights and she has participated on a number of parallel sessions such as the Convention on Population and Development held in New York. She has vast experiences in Research, coalition building and coordinating. In addition, Noor has professional training in the struggle for health offered by International People's Health University of the People's Health Movement as well as creative activism offered by the School for Creative Activism in Nairobi, Kenya. 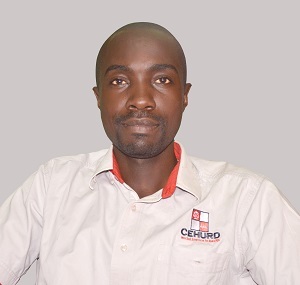 Jackson Kiyaga is the Finance Manager at CEHURD. He possesses a Diploma in Cooperative and Business Administration, a Post Graduate Diploma in Banking and Auditing, a Master’s Degree in Business Administration (Finance), and a Certificate in Accountancy and Payroll. Kiyaga is passionate about human rights and equality. Rose Wakikona is a Programme Officer with Center for Health, Human Rights and Development under the Strategic Litigation Programme. She is an advocate of the High Court of Uganda with a Bachelor of Laws Degree and a Post Graduate Diploma in Legal Practice. She has a wealth of experience in litigation and a special interest in litigating the violation of Human Rights especially the right to health. She is currently involved in research, sexual reproductive health rights, access to information and mental health. Nsereko Ibrahim is a Program Officer under the Research, Documentation and Advocacy Program. He is a lawyer with interest in human rights, particularly the right to health. Mr. Nsereko has been involved in research, documentation and advocacy on reproductive health, access to medicines, access to education materials and intellectual property. He holds a Bachelor of Laws, and a postgraduate Diploma in Legal Practice. Francis Serunjogi is a Program Officer under the Community Empowerment Program. He is skilled in lobbying, mass media communication, research, community outreach, and facilitating workshops. Mr. Serunjogi coordinates and facilitates training sessions for district stakeholders –such as health workers, community health, and people living with HIV (PLHIV) networks– in order to build capacity and assure best practices within communities across the country. Adrian Ddungu is a certified public accountant working as the accounts officer at the Center for Health Human Rights and Development ( CEHURD). His foremost areas of interest currently include : Project Financial Accounting, Auditing, Taxation and Financial Consultancy. Mr. Dungu has in the past managed an array of project s from recognize donors including but not limited to UNDP, European Union, IPPF, USAID, IDRC among others. Adrian has a Bachelor's degree in Business Administration BBA from Makerere University, Certified Public Accountant (CPA) from the Institute of Certified Public Accountants Uganda (ICPAU) and currently a student of tax CTA Certified Tax Advisor at the Institute of Public Accountants of Uganda. Vivien Nakiyingi is an Administrative Assistant at Center for Health, Human Rights and Development(CEHURD). She is responsible for ensuring office management,customer relations, operational skills, and receiving calls to the organization. She holds a Bachelor's Degree in Business Administration from Makerere University Business School(MUBS). Vivien is hospitable , pays attention to detail, and has excellent interpersonal and communication skills. Assumpta Nalukwago is a Monitoring and Evaluation Officer with CEHURD. She is a trained teacher with a Master’s in Education (Administration and planning), Bachelor’s in Education and has 5 years experience in teaching. She holds a postgraduate Diploma in Monitoring and Evaluation and additional training in advocacy. She has engaged in a number of advocacy activities through coordination and mobilization. She is enthusiastic in finding opportunities and always seeking to learn. Muhumuza AbdulKharim is a Program Officer working with CEHURD under the Research, Documentation and Advocacy Program. Since joining CEHURD in October 2015, he has also had experience working with the Community Empowerment Program. AbdulKharim enjoys working in the spheres of development and youth empowerment with the goal of promoting health and human rights within communities. AbdulKharim holds a Bachelor’s degree in Environmental Management from Kampala International University. Mulindwa Dan Joseph is a teacher by profession and currently works with CEHURD as a volunteer in the Strategic Litigation Program. He has managed court processes which include; filing, paying court /government duties, and transporting staff to different community visits around Uganda. Joseph has also worked with companies like Byokusheka and Mayfare building his experience in community work. 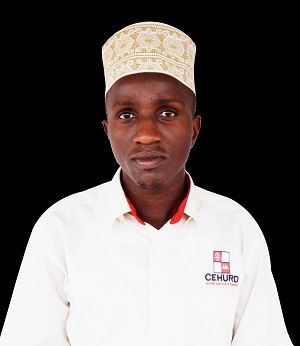 Mr Hasunira is a Technical Collaborator with CEHURD’s Community Empowerment Program. He is in charge of developing concepts for various community projects as well as developing tools for the activities in the field. His focus on field research contributes to the fostering of partnerships and the development of best practices for community health partners. Mr Hasunira was an advocacy fellow with the AIDS Vaccine Advocacy Coalition (AVAC) and undertaken advocacy for biomedical HIV prevention and prevention research. In addition, Mr Hasunira chairs the Community Advisory Board of Makerere University Walter Reed Project. Mr Hasunira holds an Honours (BA) degree in economics and history as well as a Masters in Economic Policy and Planning (MA EPP) from Makerere University. Nkoobe Fatiha is a volunteer in Communications Department, holds a Bachelors degree of I.T from Islamic University in Uganda - IUIU. He is a content developer, his role is to craft suitable and satisfactory content for our various online platforms ranging from but not limited to writing blogs articles to generating social media content.